I’m so glad you’re here! Do you LOVE cinnamon rolls as much as I do but don’t *really* love the amount of effort they take to make? Then THIS RECIPE is exactly what you’ve been waiting for your whole life! You might have heard about the “little” snow storm the East Coast experienced this January. To celebrate the fact that we didn’t lose power during the first night of the blizzard, and to make the most of the fact that we still had power the next morning (truly a miracle! ), I spent the morning in my kitchen baking. That’s what YOU would have done, right?? I’ve made cinnamon rolls plenty of times in the last 20 years of married life, but NEVER before have cinnamon rolls turned out as delicious as these. I have always been very curious about “one hour” cinnamon rolls, simply because I bake bread enough to know that a loaf of bread that is kneaded and let to rise, then punched down and let to rise again (ie, the traditional, LONG way) will always have a different consistency and taste than a quick yeast bread that I make to eat with a soup or stew. Call me a skeptic, if you must. So I began making the One-Hour Cinnamon Roll recipe that I found on Pinterest, even though I was already starting off without one of the specific ingredients that the author said made all the difference. Secret about me: I am horrible about following recipes to a T. I almost always improvise a little. 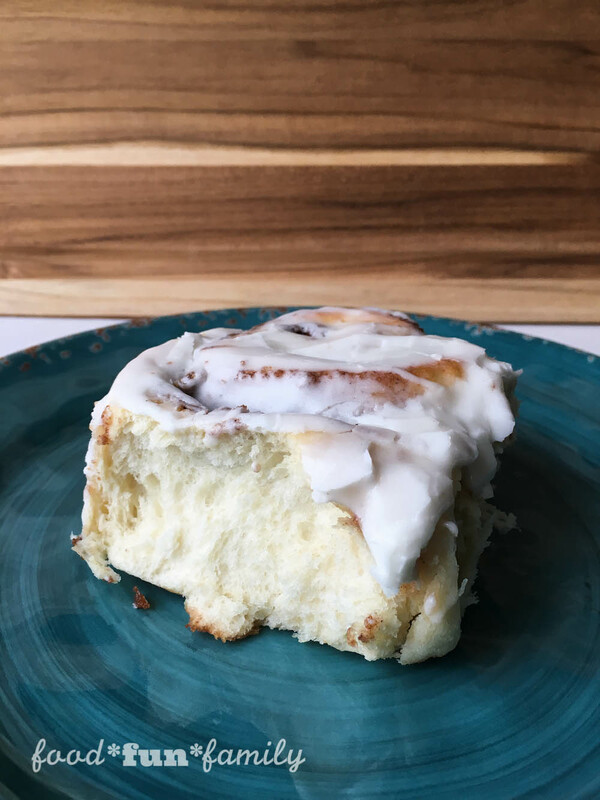 I figured that I didn’t really have anything to lose because I had a house full of kids that I was pretty sure would be happy to eat ANY cinnamon rolls that I baked, pretty or not. I honestly didn’t make these cinnamon rolls with the intention of sharing the recipe, but since the photo was so popular on Instagram and Facebook and my friends were hounding me (in a nice way, of course) to share the love, I figured it was my DUTY to pass this beauty on. Ready for the recipe? 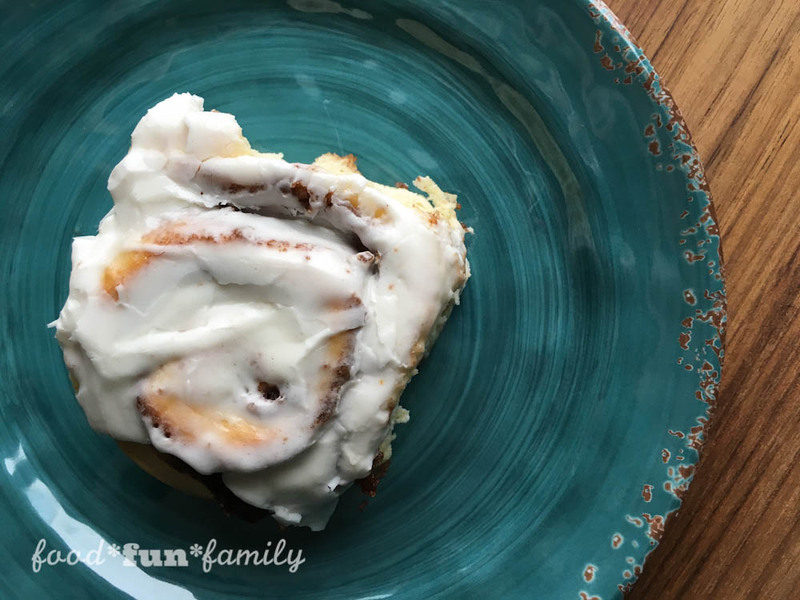 Click below to see how EASY it is to make these cinnamon rolls – from start to ooey, gooey finish – in a little over an hour. My family really liked these but I think they tasted too much like yeast…can I add less next time? You can add less yeast. You’d just need to increase the rising time (they’re “quick” because they use extra yeast). I am looking for an easy recipe to make cinnamon rolls for Christmas breakfast and these sound delicious! Pinned. These look amazing! I can not wait to make them! Hi, I would like to make these. How long did u leave the buttermilk out for it to be room temp? Does milk with vinegar work as well? I definitely do use milk and vinegar to make buttermilk (or milk with lemon juice). I would say leaving it out for 15-20 minutes is plenty long. I need these like right now. Do you deliver? I love Cinnamon Rolls and your recipe is amazing! I want to make these for a dessert this week. I appreciate you sharing this wonderful recipe! I always just use plain old active dry yeast. I’ll specify that in the recipe (didn’t occur to me before you asked, since I only have one kind!). Thanks for asking! These look amazing! I will have to try them! I am so scared of yeast! Wow, these do look delicious. I can almost taste them now. I’ll bring over the coffee and you make another batch, lol. Thank you for sharing with us at Wake Up Wednesday Linky Party. Wow! These certainly do look amazing! Thanks for linking up with What’s Cookin’ Wednesday! Thank you! They were so good…I’ve never seen cinnamon rolls disappear so fast!